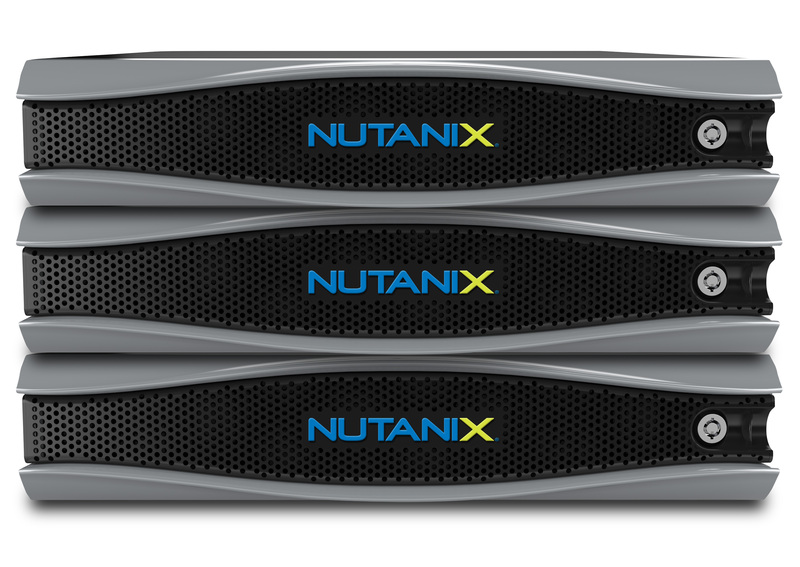 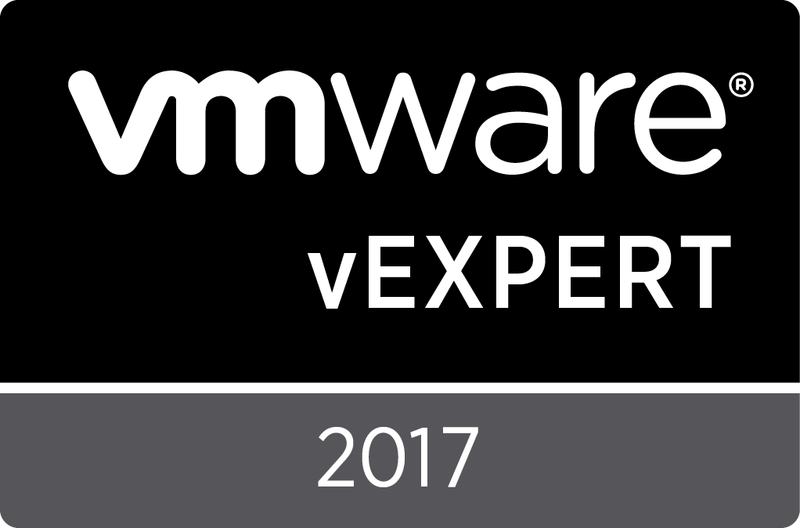 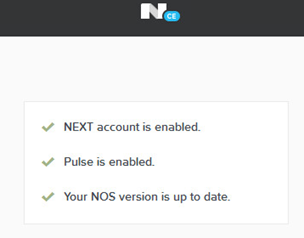 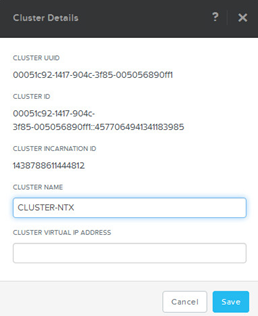 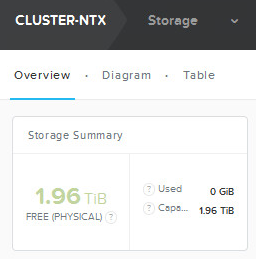 After the deploy of 3 Nested Nutanix CE VM’s, we need to create a Nutanix cluster. 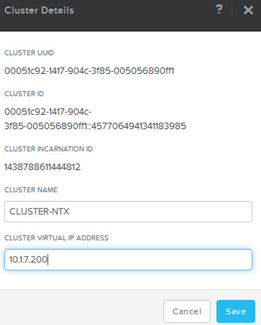 Try to recreate the cluster ! 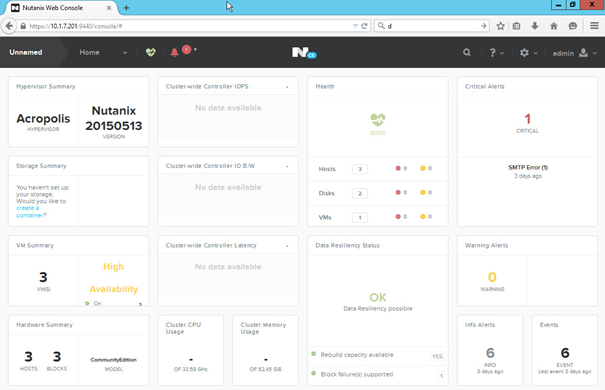 <span style="font-family: Times New Roman; font-size: 12pt;">ncli cluster add-to-name-servers servers="primary dns server,secondary dns server"
c) Define the name of the cluster. 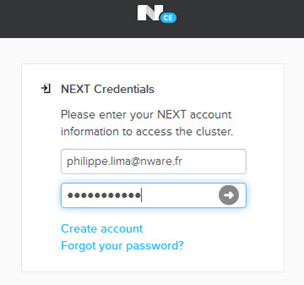 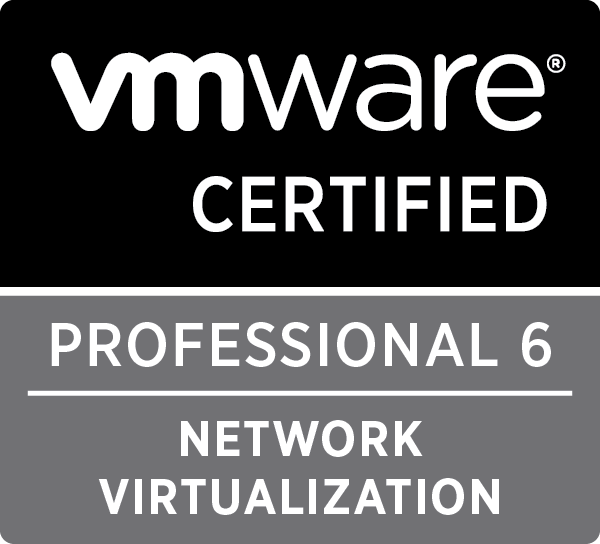 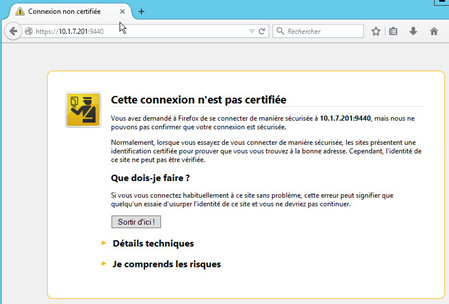 <span style="font-family: Times New Roman; font-size: 12pt;">ncli cluster add-to-ntp-servers servers=</span><span style="font-family: Times New Roman; font-size: 12pt;">"0.fr.pool.ntp.org,1.fr.pool.ntp.org</span><span style="font-family: Times New Roman; font-size: 12pt;">"
<span style="font-family: Times New Roman; font-size: 12pt;">ncli cluster set-external-ip-address external-ip-address=</span><span style="font-family: Times New Roman; font-size: 12pt;">"10.1.7.200</span><span style="font-family: Times New Roman; font-size: 12pt;">"
f) Log into the CVM IP address of any of the nodes on HTTPS port 9440 or on Virtual cluster IP address. 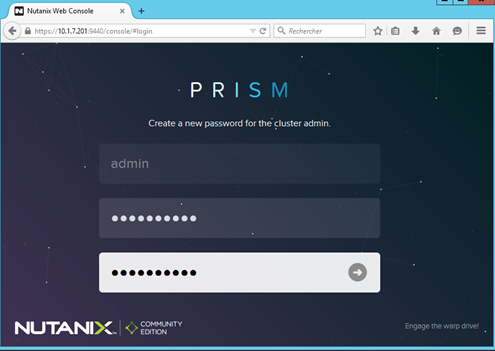 g) Update PRISM admin user password. 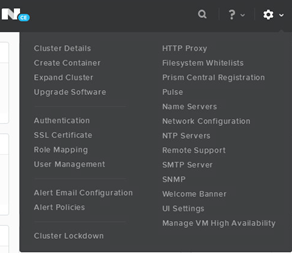 After creating a cluster ensure everything is working successfully. 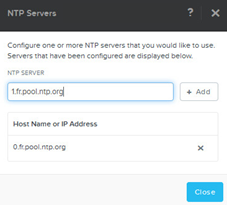 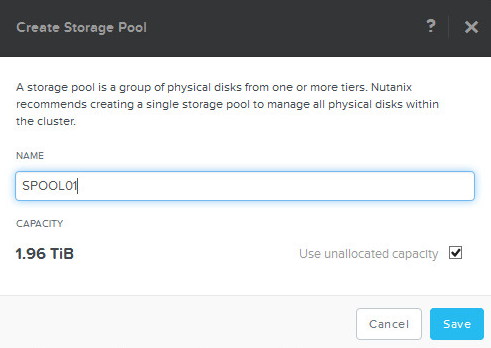 Enter Storage Pool Name and Save. 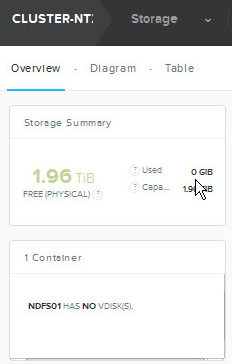 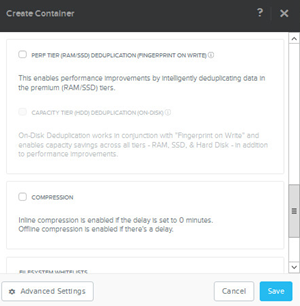 Enter Container Name, select the Storage Pool and Save.